Vascular dementia is the second most common type of dementia after Alzheimer’s. Here are the facts that you should know about this form of dementia. There are many different forms of dementia, with vascular dementia being second to Alzheimer’s disease in terms of prevalence. Vascular dementia is caused by a reduced blood supply to the brain due to diseased blood vessels. You can develop vascular dementia following a stroke which blocks an artery in your brain, but strokes do not always cause vascular dementia; whether your thinking and reasoning is affected depends on the severity of the stroke, and its location. Vascular dementia can also be caused by other conditions like high blood pressure and diabetes that damage your blood vessels and reduce circulation, depriving your brain of oxygen and other vital nutrients. There are different types of vascular dementia, and symptoms can differ depending on the severity of the blood vessel damage and the part of the brain which is affected. It is also possible to be diagnosed with mixed dementia, where the dementia is caused by both Alzheimer’s disease and vascular disease. For those with mixed dementia, symptoms may be a combination of both types of dementia. One of the most common types of vascular dementia is stroke-related dementia. This encompasses multi-infarct dementia — caused by multiple mini-strokes (transient ischaemic attacks, or TIAs), single-infarct dementia — caused by a single stroke, and post-stroke dementia — where the dementia develops within six months after a stroke. Symptoms of stroke-related dementia are most obvious following a major stoke, where a sudden change in thinking and perception can be observed. These changes include increased confusion, the person getting disorientated, a noticeable decrease in ability to speak or understand speech, and vision loss. 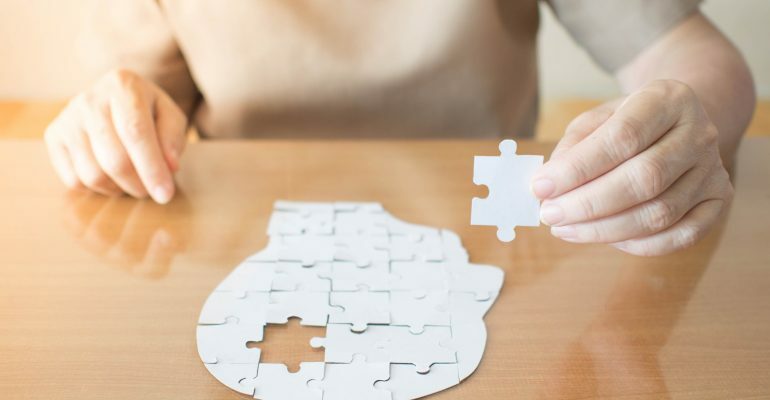 With multi-infarct dementia, however, changes in thinking may be gradual as damage accumulates, and might not be noticeable until the damage has built up after a long period of time. Those with multi-infarct dementia are likely to have better insight in early stages, and their personality will remain relatively intact for a longer time. The progression of stroke-related dementia is often ‘stepped’, with long periods when symptoms remain stable, mixed with periods when symptoms rapidly get worse. This happens because each additional stroke causes further damage to the brain. 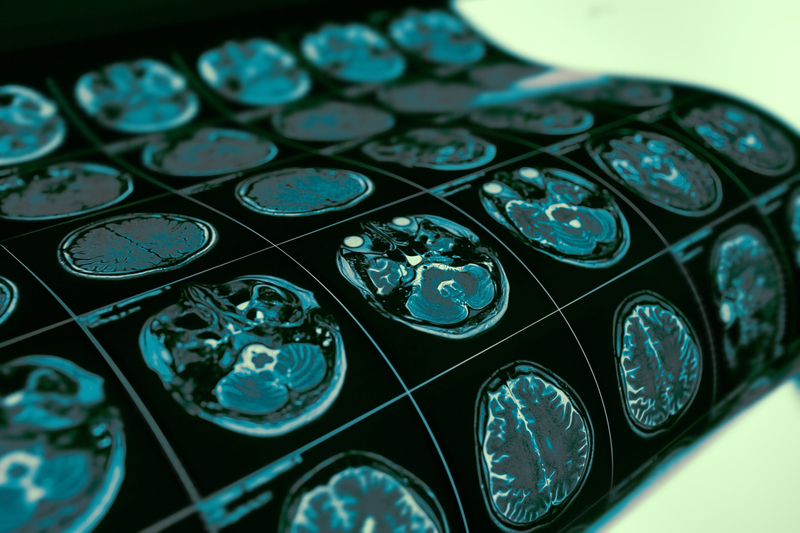 Once believed to be a rare form of dementia, the prevalence of advanced neuroimaging technology such as computed tomography (CT) and magnetic resonance imaging (MRI) has shown that subcortical vascular dementia might in fact be the most common form of vascular dementia. Caused by widespread, microscopic areas of damage to the brain from the thickening and narrowing of arteries that supply blood to the subcortical areas of the brain, the progression of this type of vascular dementia can be similar to Alzheimer’s, which sees a gradual degradation of cognitive ability. For subcortical vascular dementia, early loss of bladder control is a common symptom. The person may feel a mild weakness on one side of the body, become less steady while walking, and subsequently become more prone to falls. Other symptoms may include increased clumsiness, a lack of facial expression, and difficulty in pronouncing words. Progression of subcortical vascular dementia can be stepped, but it is more common that symptoms get worse gradually, as is the case with Alzheimer’s disease. As with other forms of dementia, there is no way to reverse the damaged parts of the brain. If vascular cognitive impairment is caught before it progresses to dementia, changes to your lifestyle and control of your blood pressure can prevent any more damage to the brain, and more importantly, prevent vascular dementia. If you or your loved one has already been diagnosed with vascular dementia, you can still minimise the likelihood of further strokes and slow the progression of vascular dementia. This includes the prescription of medicine for other conditions that damage your blood vessels and adopting a healthier lifestyle.